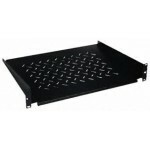 Fixed Shelves Fixed shelves are designed for placing equipment that is not 19" mountable . 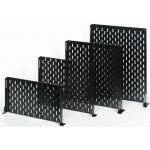 The entire area of the shelves is perforated to ensure eff..
Quick and easy mounting without tools by hanging in 19" cut-outs Quick and easy fixing (one click) and removing (quarter turn) without tools Su..
19” Fixed Shelf Material : 1,0 mm SteelFinish : Electrostatic Powder PaintMaximum Static Load : 50 kgPackaging : One piece in a box ..
With perforation to optimise air supply Material / Finish Sheet steel 1.0 mm, zinc-passivated, powder-coated texture Colour Fina.. 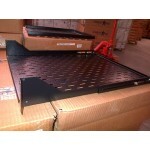 Shelf Fixed 2U D550 With Brackets - RAL 7021 .. 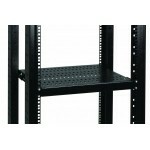 Fixed ShelvesFixed shelves are designed for placing equipment that is not 19" mountable . 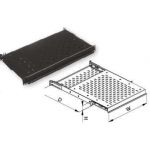 The entire area of the shelves is perforated to ensure effic..
With perforation to optimise air supply Material / Finish Sheet steel 1.0 mm, zinc-passivated, powder..
Pull-out ShelvesPull-out shelves designed for placing of equipment that is not 19"mountable. 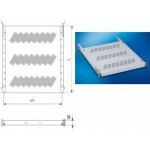 The telescopic design makes it easy to access the equipme..
Cantilever Shelves - VentilatedHeight : 2UDepths :350 mm ..
With perforation to optimize air supply Locking in pushed-in and fully pulled out position Easy mounting with patented quick mounting system ..
19” Heavy Duty Fixed Shelf Material : 1,5 mm SteelFinish : Electrostatic Powder PaintMaximum Static Load : 100 kgPackaging : One piece in a .. 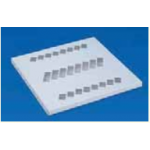 Surface area with perforation Application as server or battery bottom cover Material/finish Sheet steel 1.5 mm, zinc-passi..